If keeping everything light and simple is your style, then this Tom Horn activity may be just the slot machine you’re looking for. Vividly colourful and small in size, this is like taking a trip down memory lane, with the game reminiscent of fruit machines rather than the video slots of today. 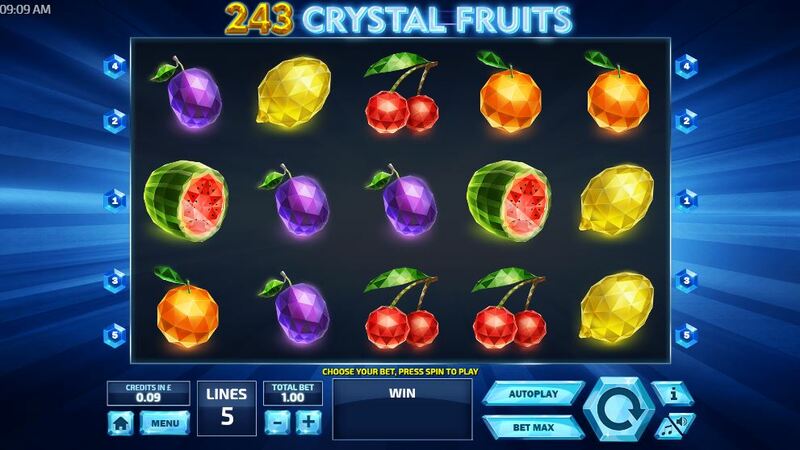 Although its appearance easily fools us into expecting little in the way of bonus features, 243 Crystal Fruits actually has a mighty bonus up its sleeve. Not bad for a 5 reels and 5 winlines title. Furthermore, costs are kept low while wins can be extremely high, with some of you lucky lot able to walk away with x40 of what you wagered; if you stake the full £100 bet, that could mean a lot of cash is coming your way. Visit here to discover more about Easy Slots. For those of you not familiar with this brand, Tom Horn is well known within the industry and on EasySlots.com, often being praised for their passionate approach to development. And yet, while they continually develop games specifically for the iGaming circuit, it can be difficult to actually find a date for when they first launched their brand. Not that a firm date matters, as Tom Horn is all about moving forward. This isn’t a hard task for them to achieve, as they’ve got offices set up across various sites around the world, such as in Prague and Costa Rica; they may not be the biggest online label, but their influence is renowned. Back to the interface and its gameplay now, with a lot of this wonderfully blue paytable giving us nothing but monetary returns, save for the wild symbol. Just as in traditional gameplay, this wild substitutes other icons for itself, however in an unusual twist, this one also triggers the 243 Respins Feature. The above feature is the only one available, with the rest of the symbols rewarding between x1 and x40 of what you bet; obviously, the higher rewards come from lining up high value tiles in a five of a kind formation. Due to the lack of special bonuses, the cost of this slot machine isn’t too pricey, with the minimum bet set extremely low. However, users can choose to stake a lot more cash if they so wish. 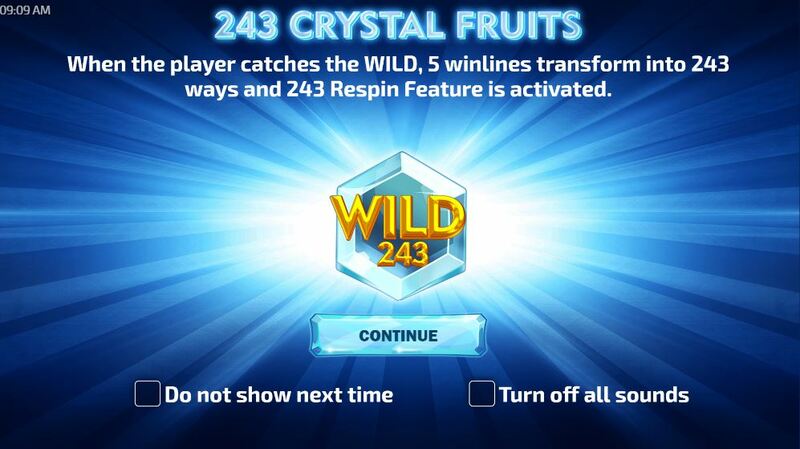 * 243 Respins: For this to start, players need to land wilds on the second, third and fourth reels. When this happens, the symbols that had been part of the combination will explode, triggering a respin with new symbols falling into the empty spots. The feature can carry on as long as you keep finding winning combos. Also, for every respin you receive, the multiplier value will increase, with up to x5 on the cards.